My name is Aleksandra Stańczak. My biggest passion are dogs. In Shetland Sheepdog I fell in love in 2007 and since then I regularly deepen my knowledge about that wonderful breed. In May 2008 came to my home, long awaited, dreamt - RENNY Ventora, which fulfilled my all expectations. In May 2011 first litter in my kennel was born. I am trying to develop in various domains of cynology. Also, I enjoy spending my spare time with dogs. 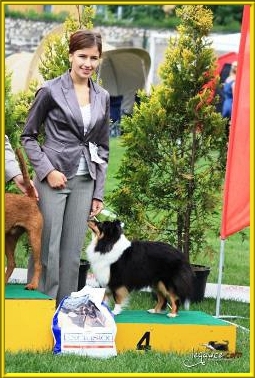 many successes in the dog shows and in kynological sports. Will I succeed? I do not know.